Hear "Hunger Split", another track from Cleveland post-punks Pleasure Leftists and their s/t debut EP. 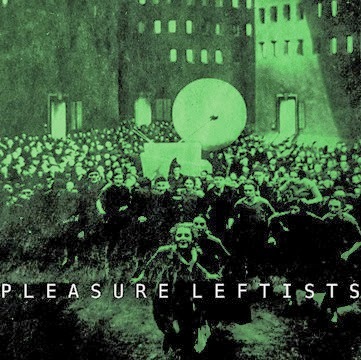 Pleasure Leftists actually released their self-titled debut EP back in October, so apologies for the late manner of our post. The EP features previous two tracks "Elephant Men" and "Not Over", but amidst those is "Hunger Split" - the EP's arguable stand out track. Lead vocalist Haley Morris' banshee-like wails strike the same chord as Savages' Jehnny Beth - certainly no bad thing and on "Hunger Split" they come into their own. The track stands out from the brilliant rest with its change in mood from achromatic doom to slight optimism and a strangely resonant brightness. Listen below and go grab a copy of the self-titled EP from Deranged Records.